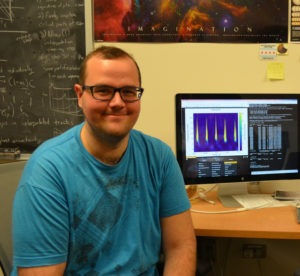 CIERA Research Specialist Scotty Coughlin has been included in the list of honorable mentions in the inaugural (2018) LIGO Laboratory Awards for Excellence in Detector Characterization and Calibration. Go to the full announcement from the LIGO Lab. Learn more about LIGO. LIGO is jointly operated by Caltech and MIT, and it is supported by the U.S. National Science Foundation.